Smartphones and kids … a good mix? 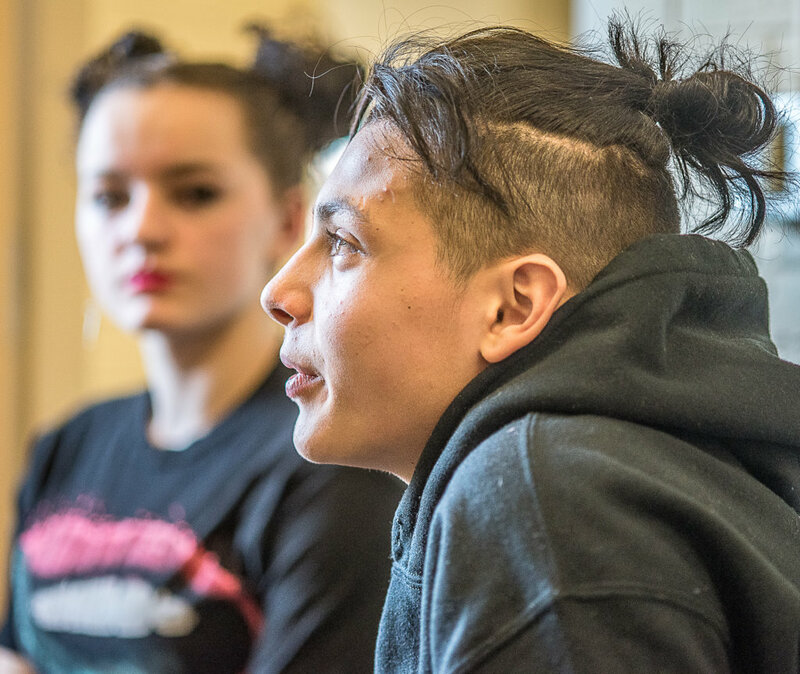 With more teens feeling hopeless and suicidal, Maine schools, kids and parents struggle to deal with a technology that’s changed a generation. As principal of Oxford Elementary School, Tiffany Karnes has seen smartphone users start young. Like 7 years old young. At other schools they come younger still. Grace Leavitt, vice president for the Maine Education Association, learned that fact from a kindergarten teacher the other day. 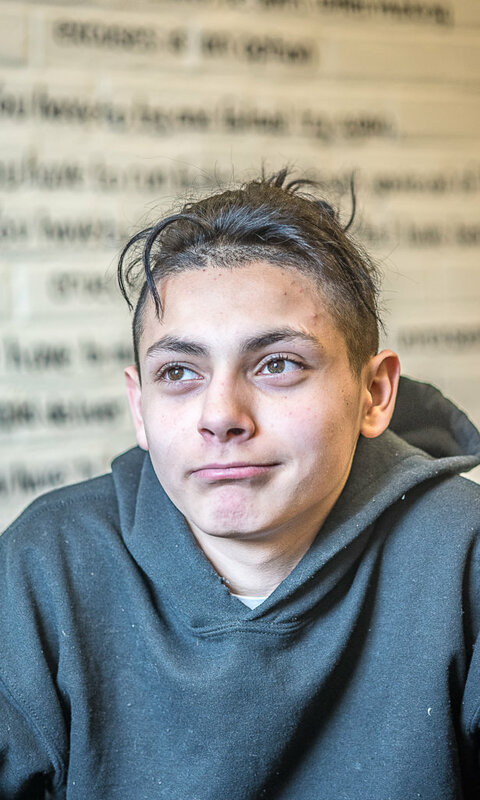 At Lewiston Middle School, eighth-grader Loreli Scoppettuolo knows classmates who use their smartphones to go online at all hours of the night or who smuggle their phones into the school bathroom so they can sneak selfies or check social media during class. Some of her friends are so tied to their phones that she asks them to turn off their device and stash it away when they go to her house. She sometimes wonders what it would have been like to live in a smartphone-free era of the past. “Being without it would be kind of a relief,” she said. Last month, two major Apple shareholders publicly asked the company to help limit children’s use of the iPhone, a dramatic move for investors of a company that makes money when it gets more people, not fewer, to use its products. It’s an issue that’s getting increasing attention nationwide — are children and smartphones really a good mix? Child development experts say no, pointing to research that links screen time with higher rates of suicide, suicidal thoughts, anxiety and depression. A number of tech industry insiders say no, voicing concerns that their products are too addictive for young brains. Some kids say no, saying they like the instant communication and access to the internet but not the constant distraction. Yet despite the concerns, smartphones aren’t going away anytime soon. And that leaves Maine schools, students and parents in a quandary. “It’s a whole new world,” said Jenna Menhert, head of the Maine chapter of the National Alliance on Mental Health. For years, cellphones were largely used for phone calls and texting. The Apple iPhone’s release in 2007 marked a transformation. Suddenly, smartphones — usually touchscreen devices with apps, email and internet access, camera and video capability and many other features — flooded the market. Within a few years, smartphones were outselling personal computers. In 2014, about 28 percent of children 11 and younger owned a smartphone, according to eMarketer, a New York-based digital marketing research company. Among those ages 12 to 17, about 71 percent owned one. In 2016, smartphone ownership had jumped for both groups — to 41 percent for those younger children and 84 percent for older ones. By 2018, the company predicted then, almost half of children 11 and younger would own a smartphone and more than 90 percent of 12- to 17-year-olds would. A number of studies have shown that children and teens spend several hours a day on those smartphones. That sudden saturation drew the attention of San Diego State University psychology professor Jean Twenge. Last summer, Simon & Schuster released Twenge’s book “iGen,” in which she looked at the impact of smartphones on people born in the mid-1990s and later — children, teens and young adults who have never known life without a computer in their pocket. Her conclusion, in a word: Yes. University of Maine at Farmington psychology professor Joel King uses Twenge’s book in his child development class and can quote her findings from memory. Since smartphones pervaded, he said, American teenagers have become more likely to spend their time online and less likely to hang out with friends, get a driver’s license or otherwise do things that foster independence. Today’s 12th-graders go out less than eighth-graders did less than a decade ago. “There’s some shocking, drastic changes . 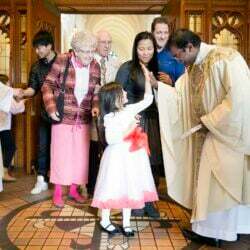 . . in how kids are growing up,” King said. That can be good — teen drinking, homicide and pregnancy rates are down across the country. But it can also be bad — rates of suicide, anxiety, depression and other mental health issues are up. 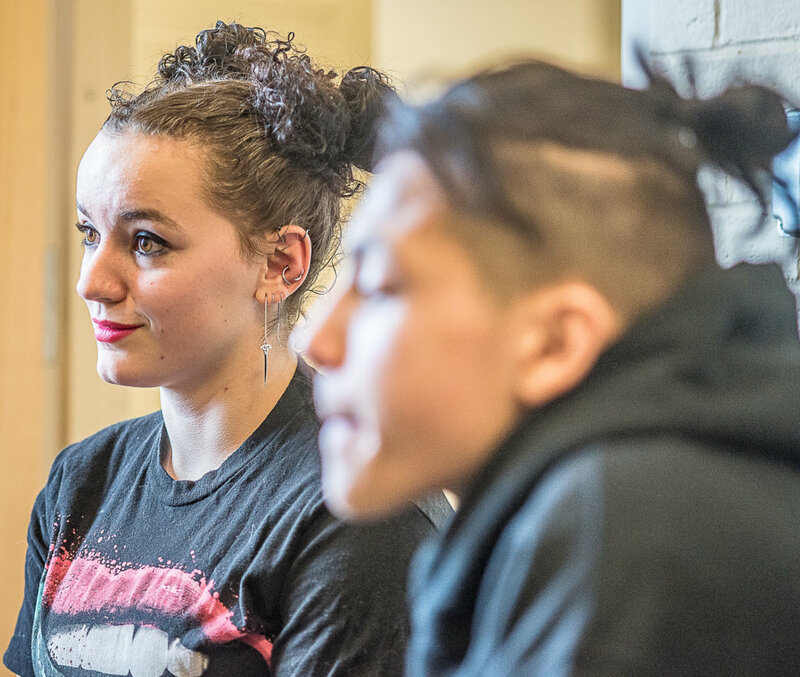 In Maine, the percentage of high school students who reported feeling sad and hopeless has risen steadily in recent years, from 21.8 percent in 2009 to 26.9 percent in 2017, according to the Maine Integrated Youth Health Survey. The percentage of high schooler students who have seriously considered suicide has increased from 12.5 percent in 2009 to 14.7 percent in 2017. Androscoggin, Oxford and Franklin counties each saw similar or greater increases. Maine middle school students did not experience such a jump, according to the biennial survey. Although suicide, depression and mental illness are complex issues with a variety of causes, King and other experts believe smartphones are part of the problem. Young people, they say, have come to rely too much on smartphones for social interaction. And social interaction is immensely important to their mental health. “If you feel isolated, like you feel lonely, the feeling of lonely is exactly the kind of pain you feel when you’re hurt. That’s because (by evolution), if you didn’t find your group, you didn’t survive,” King said. While social media can put people in instant contact with others, King said, that virtual connection doesn’t provide the same love-and-trust chemicals in the brain that face-to-face contact does. “What’s happening with social media is that basically people are feeling more and more isolated,” he said. It doesn’t help that teenagers are also wired to be particularly sensitive to social rejection, and the internet is chock full of social rejection. And while teenagers’ self-worth has always been tied to their perception of others — Am I smarter? Am I more attractive? Can I win? — those benchmarks used to be limited to friends, classmates or a beloved celebrity. Also part of the equation: adults’ own use — and sometimes abuse — of their own smartphones. Maine schools, parents and children have begun to view smartphones as a problem. Earlier this school year, Lewiston Middle School instituted an all-out ban on student cellphones during the school day — a decision made, in part, because school officials found inappropriate and troubling social media posts from children surrounding last year’s suicide of student Anie Graham. Mates said the new policy has helped curb smartphone use in school. Children are less distracted, less likely to be late to class, less apt to ask to use the bathroom so they can sneak online. But six months into the school year, there’s also been some backsliding. Recently, Mates upped the consequences for students caught using their phone — immediate confiscation, no warnings. Less of a distraction, but still, for some students, a distraction. “They’ll be like, ‘Can I use the bathroom? May I use the bathroom?’ And then they’ll go to the bathroom and just sit there playing games (on their phones). They’ll go inside of the stall and just sit there playing games,” Perdomo said. Games can be the least of parents’ concerns. They worry more about cyberbullying in an age when children can post online photos, videos or comments about others for the world to see. They worry about their children getting into situations they aren’t ready for, like an online friend planning suicide. They worry about their children growing up behind a screen. “I think it’s important for kids to learn cues from other people, emotional cues, and you’re not going to learn that on a phone,” said Jessica Gauthier, a Lewiston mother of three who limits phone use among her children, ages 10, 12 and 14. Leavitt, the Maine Education Association vice president who is also a Spanish teacher at Greely High School in Cumberland, sees smartphones as a “double-edged sword.” Phones allow her students to quickly look up a Spanish word or take 3-D, virtual reality field trips to Mexico City and the Galapagos Islands. 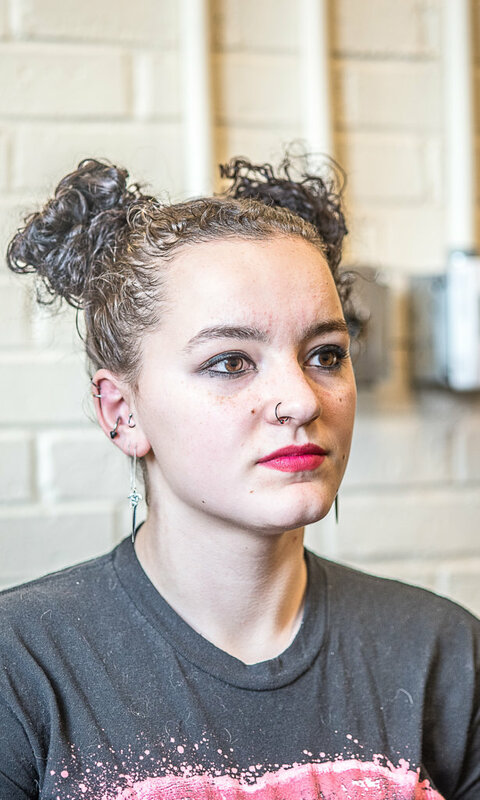 But she doesn’t like the inequity they create in class — some students can afford smartphones while others can’t — and she fears that too many teenagers are hooked on the devices. “They can be a major distraction and disruption for learning and for teaching. And certainly I do see some students who are quite addicted to their phones,” she said. Leavitt asks students to keep their phones off and tucked away, and mostly they do. But she knows other teachers battle over it. And then there’s the elementary school teacher she spoke with the other day, the one whose kindergartners have — and use — phones. “That’s even more extreme than what I was aware of. This is one teacher, it’s another district, but I’m sure it’s happening elsewhere, too,” she said. At Oxford Elementary School, for example. 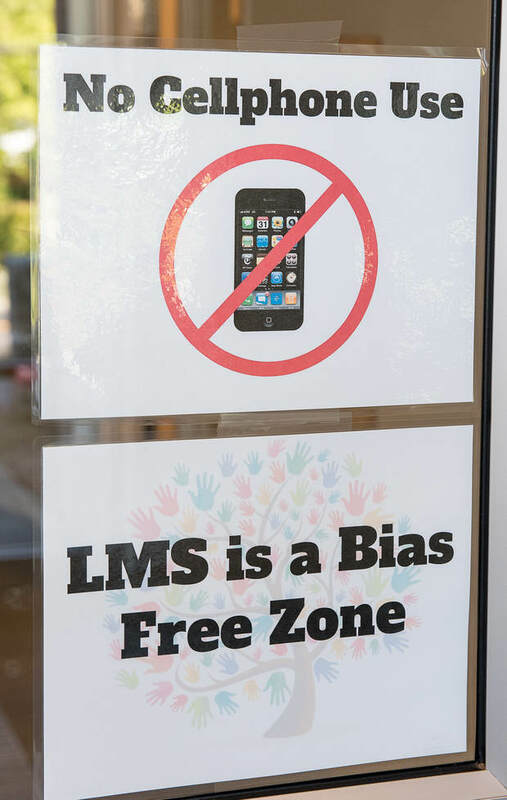 Karnes, the principal, said phones have not become a distraction at her school, mostly because they’re not allowed to be out during the day and students tend to accept that. But she knows some students hide their use. “I’m sure we have kids who sneak them into the bathroom and text someone. I know for a fact we do,” she said. At Lewiston High School, the issue is less texting secretly in the bathroom and more constant, obvious smartphone use. At the beginning of the school year, teacher Bernie Fortier banned phones from his classroom for the first time. They had gotten to be too much of a problem — not only for texting, social media and the internet, but also for the very basic camera function. When Jake Langlais took over as principal at the beginning of the year, he found too many students plugged into their phones during the day. Literally plugged in. 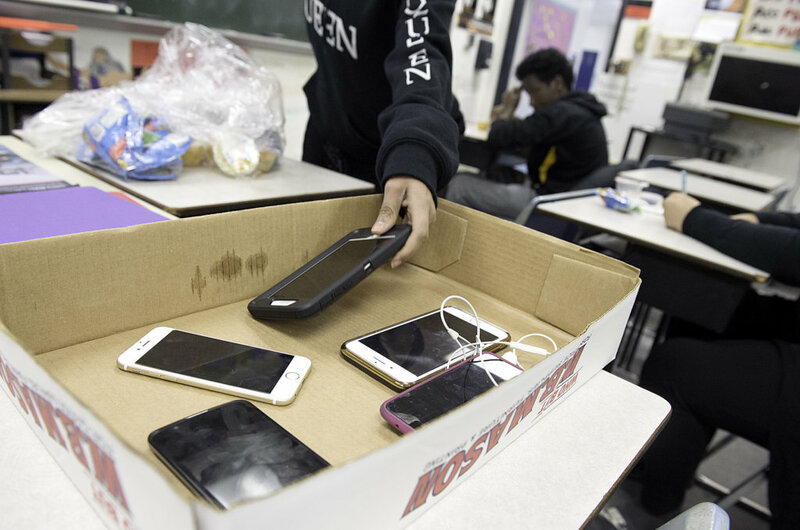 The school hasn’t yet changed its cellphone policy, which allows students to use their phones in the hallway, during breaks and in class when approved by teachers. Langlais did ban headphones. But while students are the ones using smartphones, they aren’t the whole problem for schools. Black estimates that about half of his 525 sixth-, seventh- and eighth-graders have phones. When he asks students to keep the devices off, he hears more complaints from parents than he does students. There’s no consensus among experts, educators, children or parents on the best way to deal with smartphones. Some want an all-out prohibition on their use by anyone under 13 or 15. Others say it’s better for children to start using smartphones young, when they have adult guidance and oversight. When Lewiston Middle School banned phones earlier this year, Mates appeared on National Public Radio to talk about it. A dean of students from New York appeared opposite her, advocating not for a ban but for actively teaching responsible smartphone use. Families differ, too, in their responses to smartphones. Kristi Anderson of Lewiston works at Lewiston Middle School and has two daughters, 11 and 14 years old. Both girls got smartphones because the family home doesn’t have a landline. Anderson believes phones can be good “when they’re used the right way.” She feels the devices — with their instant ability to communicate — have made her closer to her daughters and their friends than she otherwise would have been. “I like being able to contact all of them, and all of them think nothing of texting me,” she said. There’s also the safety factor. “I like the fact I can know where they are, as well, by turning on the (phone’s) location,” she said. Gauthier, the mother of three, is a little more cautious when it comes to smartphones. Her family doesn’t have a landline, either, but they got a pre-paid cellphone for the house in case of emergencies. Her 14-year-old son has a smartphone, but her younger children do not. Her 12-year-old son has a tablet and her 10-year-old daughter is allowed to play with a smartphone in the house. The children earn 15 minutes of screen time for each chore they do. Phones aren’t allowed in the bedroom, in the car or at the dinner table. If someone is talking to them, the children have to put their devices down. Last month, two major Apple shareholders, Jana Partners LLC and the California State Teachers’ Retirement System, sent an open letter to the company asking it to add safety features and parental controls to limit children’s use of the iPhone. A couple of weeks ago, Common Sense, a national children’s advocacy organization, and the Center for Humane Technology, a group of tech industry insiders, launched a campaign called Truth Against Tech to pressure tech companies to make their products less addictive to children. In Maine, each school system — sometimes each school or classroom — governs student smartphone use. In general, elementary schools prohibit students from using smartphones during the school day. Rules tend to loosen as students get into middle and high school. But smartphones are so new that policies are still evolving. Mt. Blue Middle School in Farmington bans student cellphone use during the school day. School officials have talked about loosening the rules to allow phones during lunch. “But, you know, a lot of great conversations go on around the lunch table with kids, so I’m a little worried about doing that,” Black said. Lewiston High School is considering making its rules more restrictive, possibly by banning cellphone use in the hallway during classes. Fortier, the Lewiston High School teacher, tightened his own classroom rules this year. In his afternoon Lewiston Academy class, an alternative program for students who have struggled in day school, he requires students to hand over their cellphones, placing them in a basket on his desk at the start of each class. If students don’t, they can’t stay. In his Latin classes during the traditional school day, he requires phones to be stashed away. If he sees a phone, he automatically hands out an 80-minute detention. He gave his first smartphone-related detention a few days after school began. He’s handed out two others since. “I think the kids know me well enough to know that I don’t bluff,” he said. School leaders and child development experts say, though, that schools can’t police students’ smartphone use all on their own. They believe parents need to be involved. They recommend holding off on getting a child a cellphone for as long as possible. For parents worried about safety — either because the family doesn’t have a landline or because the child is alone part of the day — experts suggest getting a pre-paid cellphone with limited capabilities and no internet access. They suggest not allowing smartphones to dominate life. That means keeping them out of the bedroom at night, away from the table during mealtimes and off during family time. It also means encouraging face-to-face activities over virtual ones. They say parents should monitor what their children do with their smartphones, how long they spend on them and when, exactly, they’re using the devices. Mates hopes to start that conversation communitywide by hosting a free viewing of “Screenagers,” a documentary about children in the digital age. It will be shown at 6 p.m. March 1 at Lewiston Middle School. But while parents can police smartphones day and night, children say there’s another thing adults can do that would help: Put down their own phones. • Know your child’s smartphone and social media passwords. Tell your child you will regularly check in on what they’re doing online and with their phone, then do it. • Lead by example. Demonstrate good cellphone habits, including putting your phone down. Don’t allow your children to be preoccupied by a phone when someone is talking to them . . . and don’t be preoccupied by your phone when your child is talking to you. • Encourage no-screen time. Don’t allow smartphones out at the dinner table, in the car or in the bedroom, for example . . . and that means your phone, too. • If you don’t have a landline at home or if you want your young child to have a cellphone for emergencies, consider a pre-paid phone without internet access. • Know how much time your child spends on their phone, what they’re doing and who they’re talking to. • Encourage outdoor and face-to-face activities. • Ask questions. Be open. Encourage your child to come to you if they encounter any problems online — like a friend who talks about suicide or a classmate who posted a racy video — and emphasize you won’t be mad at them and they won’t get in trouble. • Consider placing parental monitors or blocks on your child’s smartphone. Talk to your wireless company or cellphone manufacturer about what’s available. • Hold off on getting your child a smartphone for as long as possible and gauge their maturity level before you do. Not all 13-year-olds can handle having unrestricted internet access in their pocket.